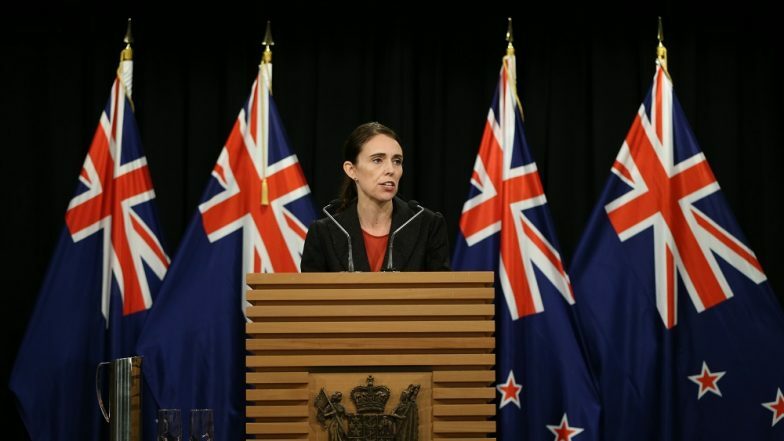 Christchurch, March 19: New Zealand Prime Minister Jacinda Ardern promised on Tuesday that the man responsible for last week's deadly mosque massacres would face "the full force of the law", as she vowed never to utter his name. "He sought many things from his act of terror, but one was notoriety -- that is why you will never hear me mention his name," Ardern said in an emotional address to a special meeting of parliament, which she opened with the Arabic greeting "as salaam aleikum" -- 'peace be upon you'. New Zealand Terror Attack Video: Court Refuses Bail to Teen Who Shared Christchurch Mosque Massacre Live Streaming on Facebook. Australian Brenton Tarrant, 28, was captured by police and has been charged with one count of murder, but Ardern assured parliament other charges would follow. "He will face the full force of the law in New Zealand," she said. And she announced a full review of how the Australian -- an avowed white supremacist -- was able to plan and carry out the attacks in New Zealand under the radar of security services. "The person who committed these acts was not from here. He was not raised here. He did not find his ideology here. But that is not to say that those very same views do not live here," she said.